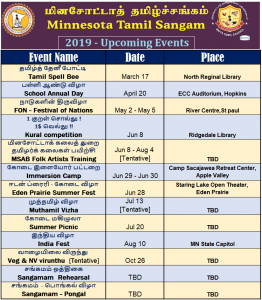 Minnesota Tamil Sangam started a Youth Wing with a primary idea to engage the young minds by making them participate and volunteer in various communal activities. These volunteering hours would also help them at high school, when they apply for National Honor Society, when they apply for colleges etc. 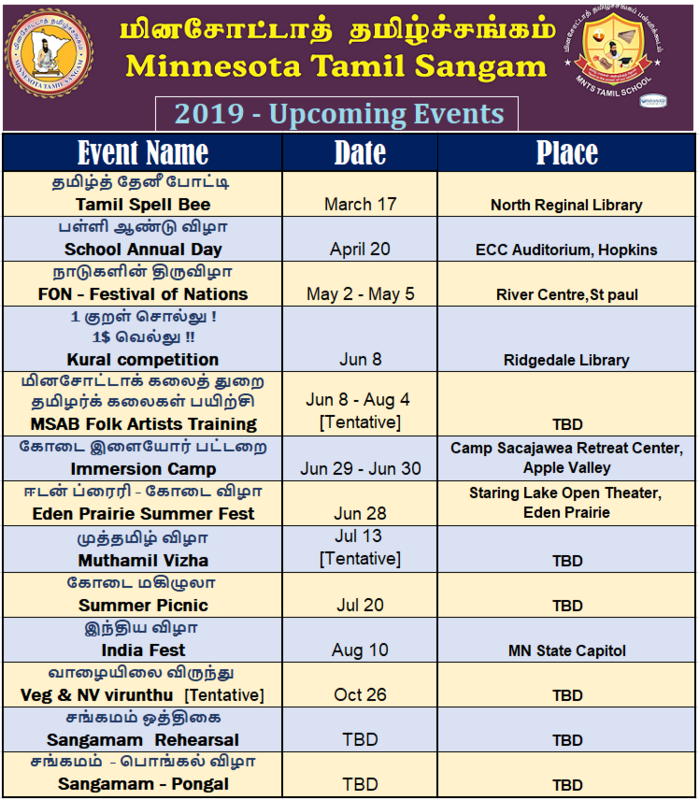 It was also the goal of MNTS to bring the teenagers in to the ring giving them an option to connect with Tamil community as a whole. 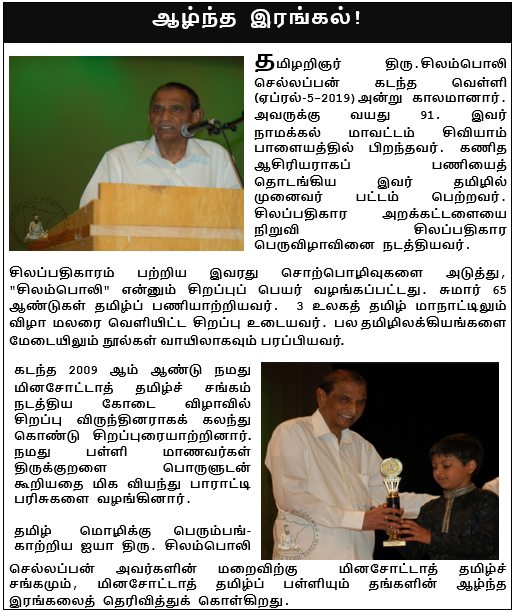 After all, these kids will be carrying forward the rich heritage and culture of Tamils in the years to come. With the above objectives, the Youth Wing was launched around May 2014. We have more than 10 youth volunteers in the program now. Following are some of the events Youth Wing team participated. Actively volunteered in managing the Minnesota Open Competitions during May / June 2014. Continuous support on running the School Admin work and Library management every Saturday at the Hopkins location. Running and maintaining snack booths at the events organized by MNTS. No one could have missed their active contributions during the Ainkaran Musical event. Conducted food driving in November, where the volunteers collected food from donors, packed them and donated them to CROSS food shelf. Full youth coordination for upcoming school annual day event and many more events.